1. They are adaptable. Raised garden beds can be built to whatever size you need, making them beneficial for small urban areas. They can be put wherever a traditional garden bed would go, including a rooftop garden, patio, balcony or deck. 2. No tilling is required, you have better control of the soil. Raised garden beds allow you to overcome poor soil conditions easily. For the simplest possible gardening, a raised garden bed is really the way to go. Instead of tilling up the soil, you can simply add materials on top of your soil. Compost, mulches, manures and other soil conditioners can all go directly onto the top few inches of the soil without the need for all of that work. The soil is capable of doing its own tilling as worms and roots push their way through and builds up the organic component of your soil over time. 4. Raising your soil means better drainage. In areas prone to flooding, a raised garden bed may be the only way to have a full growing season. Adding crushed rock or pea gravel to the bottom of a raised bed will improve drainage, which is important. Excess moisture in the soil creates conditions that allow root rot to occur and kill your crops. Raised beds also tend to drain better in general, even in heavy rains. 5. You can plant earlier in the season. Because you have better drainage in the soil, early planting in raised beds is possible because the soil dries out faster in the spring and warms more quickly for planting than soil at ground level. The several factors to consider when deciding when to plant your garden include the type of plant and your zone. Some plants, including lettuce and broccoli, can tolerate cool weather whereas others, such as basil and tomatoes, are likely to be damaged or killed by temperatures lower than 40 degrees. This Vegetable Encyclopedia is very useful to determine the best time to plant your veggies. In planting zones 4 and 5 (Maine’s primary zones) the primary gardening season falls between the first and last frost dates, the average date is around April 15th. While you don’t have to be an expert to build a raised garden bed, UrbanYardology is both skillful and knowledgeable of the requirements that will lead to your gardening success. Spring has sprung and many of us are beginning to think about enjoying our yards once again, which means spring cleaning! 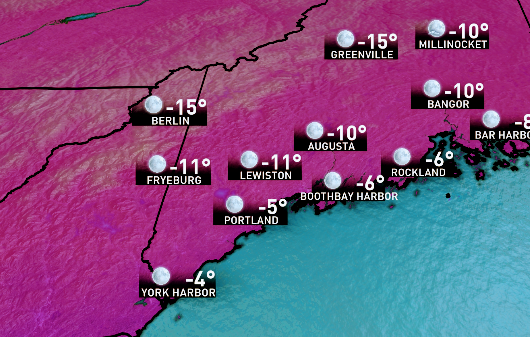 Unfortunately, your lawn and garden can suffer much damage due to winter weather. Preparing your garden for spring and summer involves assessing that damage and coming up with a plan to take back your yard for enjoyment. If you want to enjoy your landscape as the temperatures climb, heed the following post-winter garden preparation tips. Start by assessing the damage. Even if winter was mild, your landscape might still have suffered some damage from snow removal, snow load on plants and local wildlife roaming though the area. Check for debris in your garden beds and surrounding landscapes. When we are providing spring cleaning services to clients, we remove fallen leaves, branches and even trash that blew about on windy winter day. Remove the old mulch from your garden beds and apply new fresh mulch. All of the sand and salt build up on your driveway and lawn should be removed to make room for new growth. If you had fall clean up as part of your lawn care routine and your leaves were thoroughly removed, you have decreased your chances of a fungal disease known as snow mold. If you do find that you have snow mold it may be necessary to reseed your lawn. Spring is the time to treat your lawn for pests and crabgrass. Pests may hibernate in the soil over the winter, and such unwelcome visitors can make it difficult for gardens to thrive come spring and summer. Spring is also the best time to fertilize your lawn, but timing is important. The Soil temperature should reach about 55 degrees. You will know when the soil is right because lilacs begin to bloom. 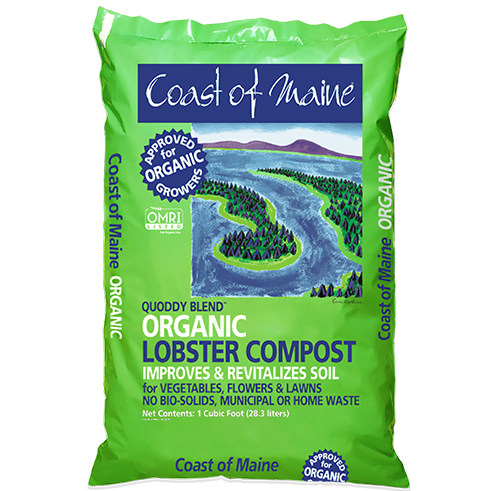 UrbanYardology is proud to use Coast of Maine organic products for our fertilizers and composts. Finally, your trees and shrubs can benefit from a bit of spring-cleaning too. Dead limbs and winter-kill on branches should be pruned off, but be careful, shrubs that bloom in the spring have to have their buds already in place on last year’s growth so that they are ready, if you prune those branches off you will lose the flowers. Shrubs that bloom later in the year grow on new wood so it is OK to trim those now. This can be overwhelming for some, that is why we provide spring clean-up and ongoing lawn care services in Portland Maine and surrounding areas. Once you landscape is ready to go for spring, beautify it with a new garden design altogether or a simple low maintenance landscape. For those of you who last fall planted spring bulbs, it won’t be long before you are rewarded for your efforts. Those who haven’t, I’m hoping by this time next year you to are anxiously awaiting your colorful bounty. For all you newbies out there just remember when purchasing spring-flowering bulbs avoid the one’s that are soft and show signs of mold. Not to bash the big box stores, but I’d avoid them and visit your locally-owned garden center which thier are plenty of in the Portland Maine area. Once successfully purchased it’s important to have a good understanding of the property and the growing area so to avoid planting in area’s that tend to have standing water. Maine snow melt, along with april rains can leave bulbs destined for rot, yielding nothing but disappointment. With over 200 individual species and 25,000 named hybrids, the daffodil alone is a plant Metropolis. The daffodil encompasses multiple color combinations which allows gardeners to create a color pallet in a way that reflects ones personality. By clumping groups together you create a visual statement such as the photo above. For a more subtle english garden approach, spread bulbs out encompassing more bulb species throughout an area like the photo below. This allows the eye to wonder making the space look larger. In closing, it’s my hope that homeowners now are more encouraged then ever to plant these wonders of the spring. If done right the reward is well worth the little effort it takes for success. Below I will link garden centers in the Portland area that will provide you the best results, as well as a depth chart for proper planting techniques. Chart Photo courtesy of Netherlands Bulb Company. I’m always amazed by the amount of new product and plant varieties that seem to come to market every new year. It’s like the car industry and how every year they seem to roll out a new model. Apparently I’m finding the same applies to the garden and the products that tie into it. I’m going to take this opportunity and list a few of these new plants and products available for the 2018 growing season. Ball FloraPlant is the leader in propagated plant varieties and has introduced two of my potential favorites. The “Waterfall” whitebush Lobelia is another great basket or container option. The “Lucky” Red Lantana stands up to heat, drought and other stressful conditions. Which is perfect for those Southwestern locations that deal with droughts on a regular occurrence. I try each year to find products that are helpful and practical to fellow gardener’s. The four pictures bellow do just that with ease of use, product validity and efficiency. Photos courtesy of Gardiner Supply Co. I work on hundreds of gardens throughout the season and I have to say with 100% certainty, I don’t recall one black flower in any of them. In fact, when hired to create a garden space for a client, I never think of adding black to the landscape. Shame on me!!! Now lately I’ve had plenty of time on my hands. (Shoulder surgery) I must say when you research black flowers, you’d be surprised to see how many different varieties are available. They even have a coleus with black foliage……… who would have thought!!! A new Twitter friend of mine just mention Dahlia’s. Yes, they have a Black Dahlia, or as I like to call it, a very deep purple Dahlia…..but they do classify it on the list of black flowers. Tulips, roses, petunias, and pansies are also on this list, which again blows me away. In order to be considered a legitimate blogger, it’s obviously important to blog about facts. If I throw out a bunch of unfactual garbage it won’t be long before I have zero followers. With that being said I need some answers, I need to be educated. So if anybody out there has the answers please feel free let me know. My questions are as followed. How many actual black wild flowers are there? From what region are these flowers located? How many commonly used flowers were scientifically modified black? Are these black flowers maintenance protocols different? I always try to provide a link for my readers so they have direction regarding topics I choose to write about. Feel free to check out this site below, I got something out of it and I’m sure you will too. Please feel free to leave a comment, I’m always interested in hearing from you. Yes, there are products out there that will give you that instant gratification in regards to ridding pests from your garden. Spray a little chemical here, spray a little chemical there and voila…. beautiful flowers, stems and hardy leaves. I’m going to ask you not to do that. There are lasting effects from these types of practices, and only now are we understanding them and the consequences. When the term “everything leads to the ocean” is used, it’s a factual one and not some made up mythical saying. Creeks lead to streams, streams lead to rivers and rivers lead to Lakes and oceans. Picture your soil as a sponge and everything you put on that soil gets absorbed into that sponge. Then as you water that soil whether that be from your own garden hose or the sky above that sponge then slowly releases that chemical. It then finds that path of least resistance which 9 times out of 10 leads to some type of water source. See picture below. I know what some are thinking. We are just a small percentage of the problem, so why put in the extra effort. That is true…..a single property won’t change the outcome, but thousands of properties will. Communities, towns and cities will make a difference. There’s alternatives to chemicals, and yes it may take more time and work for the results your looking for but the rewards are well worth it. UrbanYardology has been and will continue to operate as a pesticide-free company. There are natural solution other than chemical use out there which we educate all our clients on. In fact in 2018 we plan on incorporating Rain gardens to our list of construction options. What’s a Rain garden you might ask. Well, a Rain garden is a landscape impression that receives storm water runoff from either your roof structure, or other elevated spots on your property. The purpose of these gardens are to allow nature to step in and help by removing some of the pollution that would otherwise rush into storm drains causing an instant harmful effect. I posted a link below that is full of helpful information in regards to the Rain Garden process. Take the pesticide-free pledge and let’s take back our planet!